Jackie Nespral sat down with the former college football star and business leader who is working to make his city the champs of South Florida in multiple areas. Messam won a second term as mayor of the Broward County city last Tuesday and served one term as a city commissioner before that. The race to be the Democratic Party’s nominee for President in 2020 could be growing by one candidate in the coming days – and the latest candidate may just be one South Florida mayor. 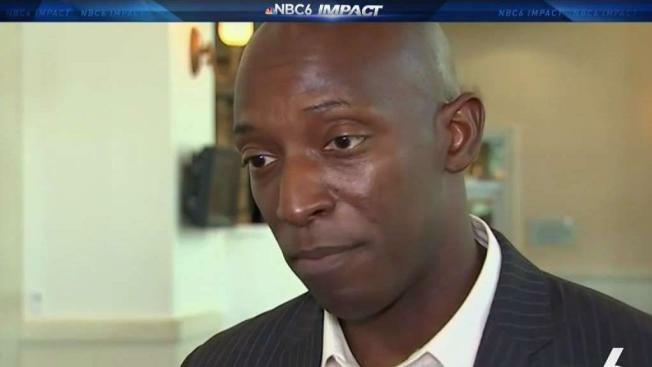 In a message posted to Facebook on Tuesday morning, Miramar Mayor Wayne Messam said he will be holding an “historic announcement” on Saturday, March 30th – adding the announcement would “impact the race” to be the party’s nominee while linking back to a website for Messam’s exploratory committee. Last month, an attorney for Messam sent a letter to the Florida Division of Elections seeking clarity on the state’s resign to run law, which requires an elected official in Florida who qualifies for a federal election to resign if the terms overlap. Messam won a second term as mayor of the Broward County city last Tuesday and served one term as a city commissioner before his 2015 election to the current office. During an interview on NBC 6's Impact with Jackie Nespral, Messam said his life experiences have led him to the point of considering a possible run - citing the creation of jobs in the city and one of the nation's fastest growing economies. The 44-year-old, who is married with three children, has been active in campaigning for Democratic Party candidates in recent elections, including Hillary Clinton’s run for President in 2016 and gubernatorial candidate Andrew Gillum’s campaign last year. Born in Palm Beach County to parents that emigrated from Jamaica, Messam’s first claim to fame was as a starting wide receiver for the Florida State Seminoles – winning a national title his freshman season in 1993 before graduating and later being drafted by the NFL’s Cincinnati Bengals. Messam served as the student-body vice president at FSU and later moved to Miramar, working in the pharmaceutical industry before starting his own construction company.